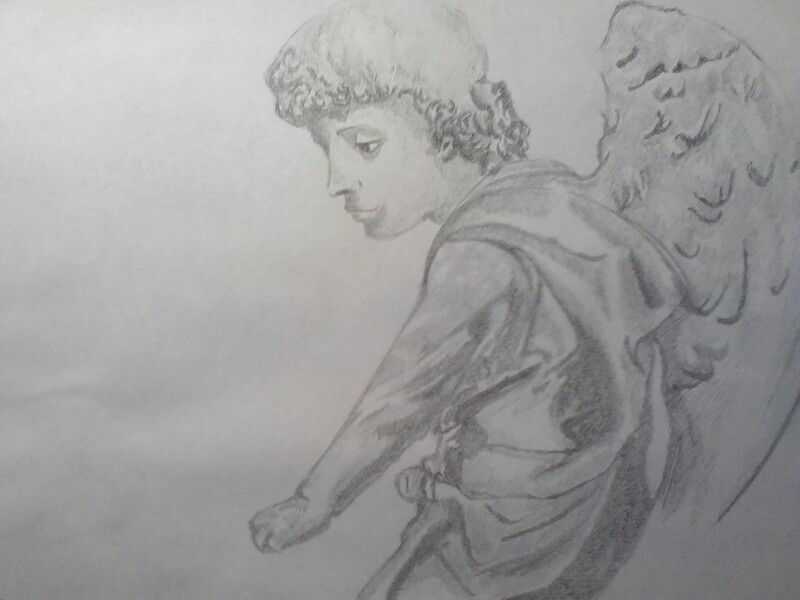 A small drawing of an Angel. I saw a picture on flickr with the statue of an Angel. I was kinda bored so I decided i might draw it. Here’s the result!